Staff at Ramat Gan Zoo hope to release overweight hedgehogs before summer. Ten Israeli hedgehogs are starting off 2018 the same way that many of us humans are: with a diet and exercise plan. 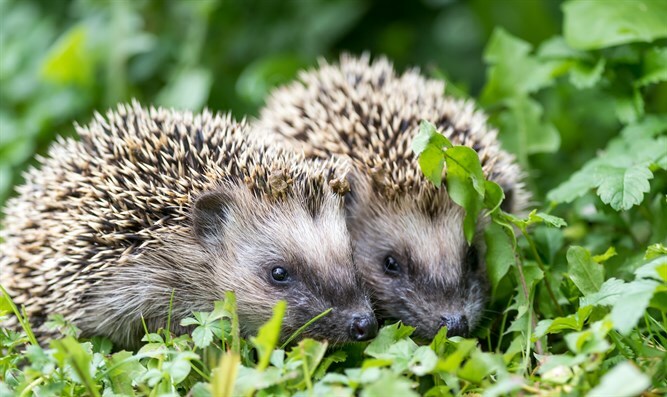 The hedgehogs, found waddling through the streets in Israel, had eaten so much that they had problems curling off into balls to defend themselves against predators, Reuters reported on Wednesday. Local Israelis saw them struggling and brought them to the Ramat Gan Zoo, outside Tel Aviv, around two months ago, where they were put on food and exercise regimens. “A lot of people put cat food on the streets for the stray cats, which is very nice but … the problem is that there’s other wildlife that eats it,” zookeeper Becka Rifkin told Reuters. One adult male hedgehog named Sherman weighed 3.5 pounds, almost double the average weight. But zoo staff members believe in them, and they hope to release the pudgy mammals by this summer.